The Haflinger, which can also be known as the Avelingnese, was developed in Austria and Northern Italy in the late 1800's. The name comes from the village of Hafling, part of Austria until the end of World War I and now part of Italy. 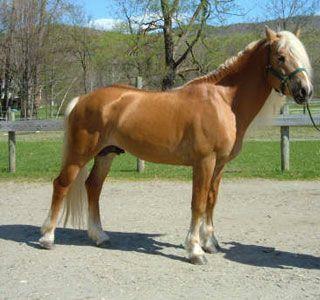 The Haflinger is a combination of Arabian and other European breeds integrated into the native Tyrolean pony stock. Haflingers were first imported to the United States in 1958, and the first Canadian Haflinger was registered in 1977. While there are breeding farms in 5 different countries, the majority of the breeding stock still comes from Austria. Haflingers are always chestnut in colour, although they come in shades ranging from light gold to a rich gold or liver colour, with a white or flaxen mane and tail. They are typically between 13.2 and 15 hands high (54-60 inches). Haflingers have a refined head, muscular back and powerful hocks. Haflingers are known to have distinctive, rhythmic gaits which are energetic but also smooth, and cover large amounts of ground. Their walk is relaxed, and their trot and canter are balanced and athletic. 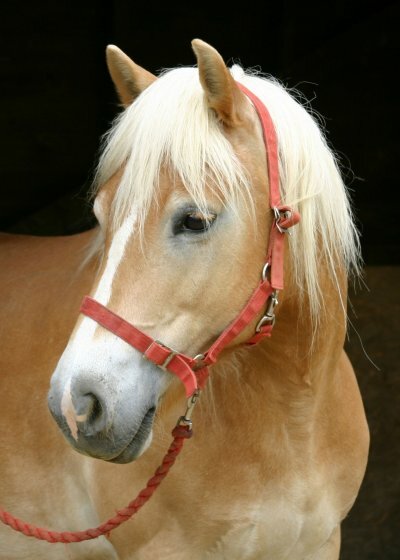 The Haflinger is a very easy keeper, and can live long lives. They have been known to live into their 30's, with mares still producing foals into their 20's. They are extremely versatile. Originally, they were developed to work as a mountain packhorse. Today Haflingers are still used for draft and pack work, as well as light harness and combined driving, trekking, western style shows, endurance, dressage, vaulting, therapeutic riding and show jumping. Haflingers are well tempered and compact, making them perfect dressage horses for children, but they can also carry an adult rider. Haflingers make perfect family horses with their gentle temperament and easy movement. Interested in riding a Haflinger? 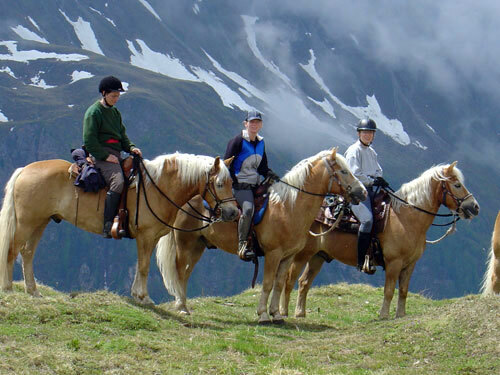 Hidden Trails offers rides in Turkey, Austria, France, Italy and Namibia that use or have Haflingers among their riding horses.